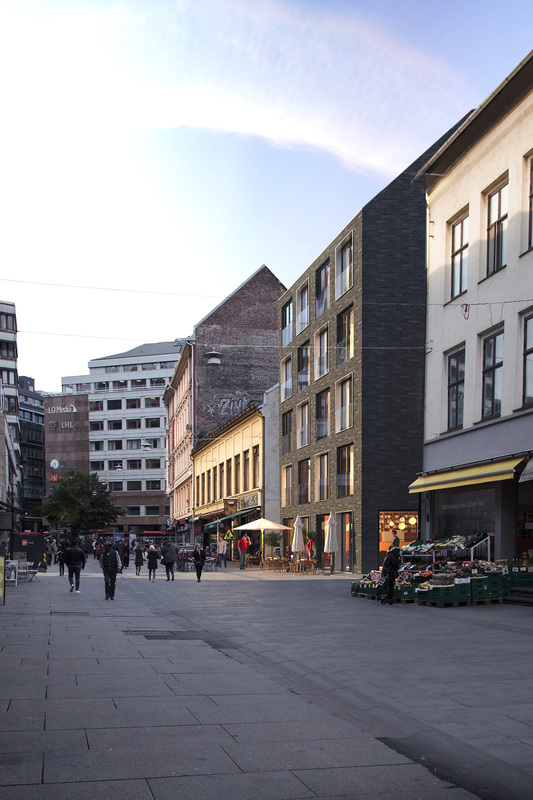 There’s a plan to build 63 new apartments in Brugata 3B and parts of 2A, one of Oslo’s oldest quadrangles. 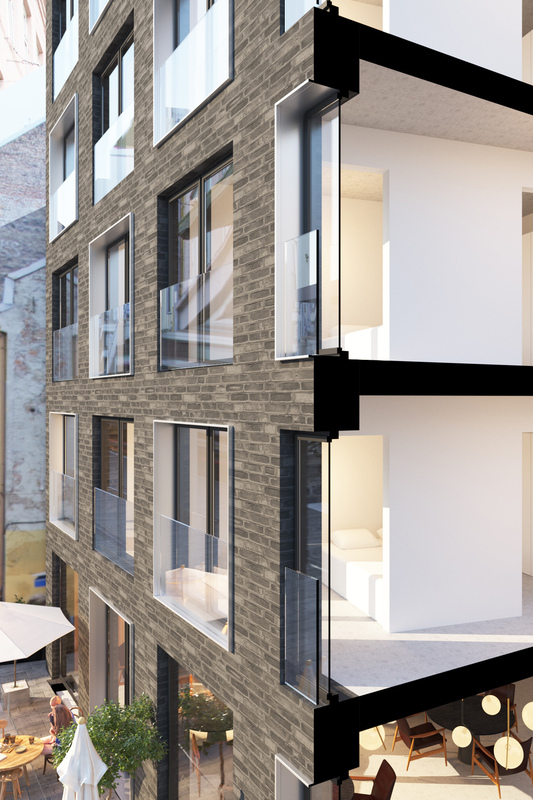 The ground floor facing the street is meant for commercial purpose. 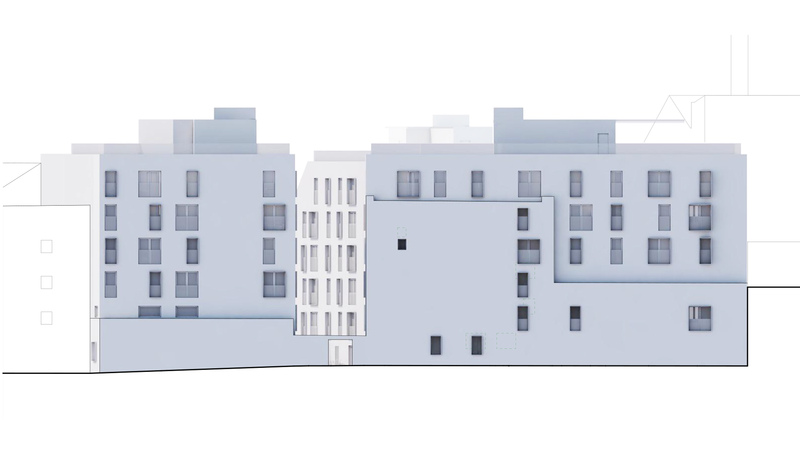 The proposal comprises an expansion with a total area of 4 900 m2 with three new buildings that intertwine between some of the oldest preserved buildings in Brugata. 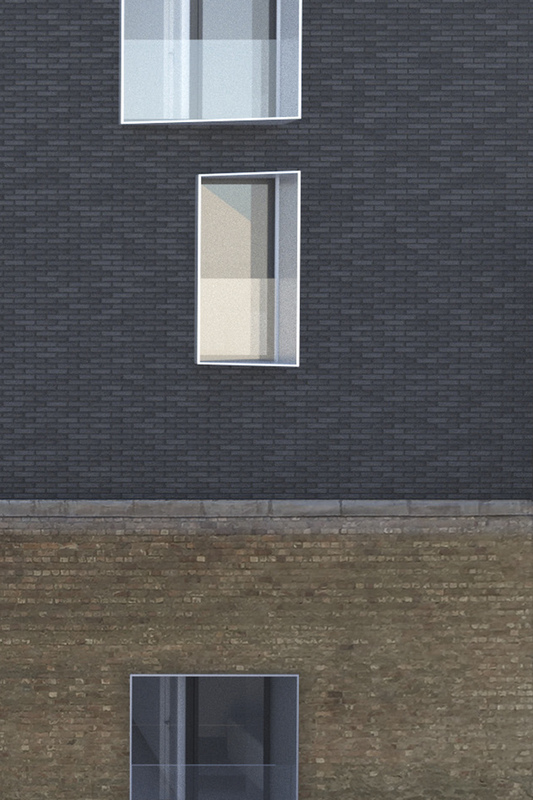 There will be new passages and spaces further into the quadrangle. 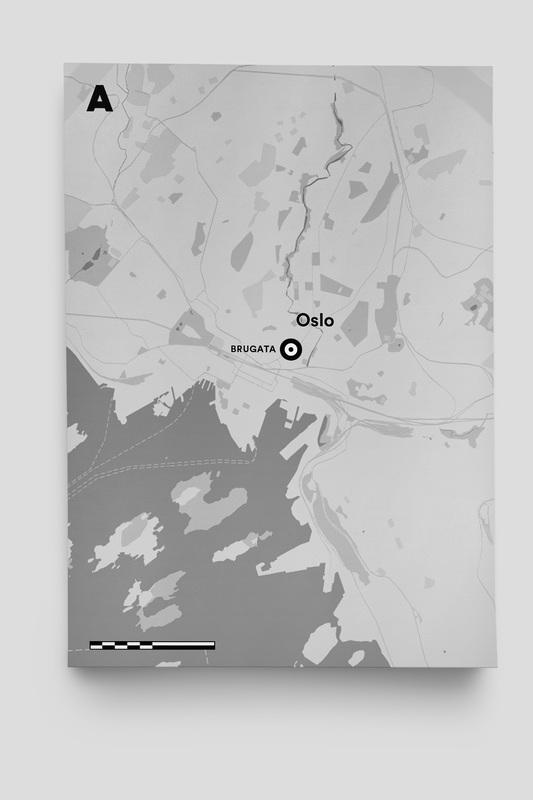 Towards north the project borders with Prinds Augusts Minde, a hidden green oasis in the middle of Oslo town centre. 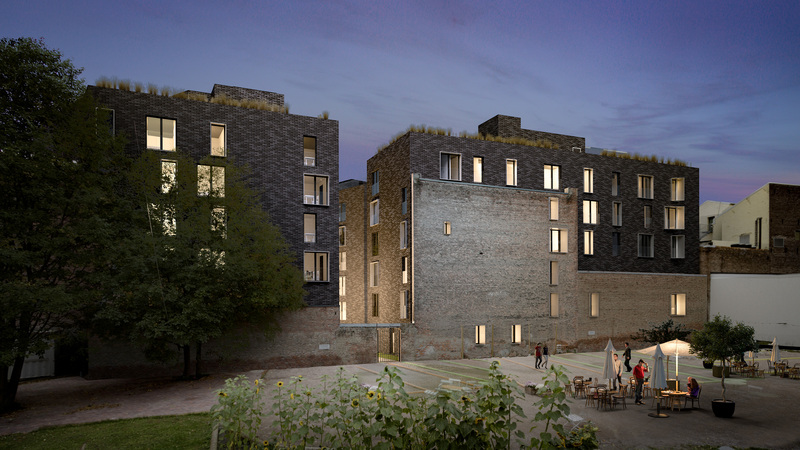 All residents will have access to common roof gardens and flats on the ground floor will have their own gardens. 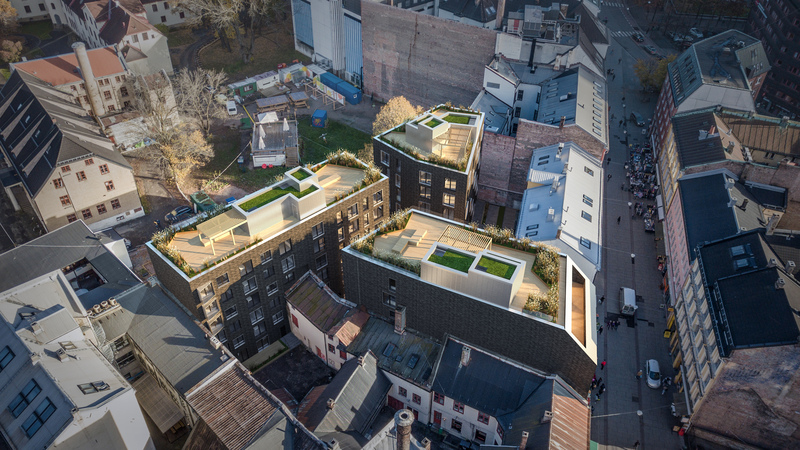 An important priority of the project has been to accommodate a considerate, city-friendly “infill” that includes the relation to the preservation-worthy neighbouring buildings and the upgrade of existing buildings, combined with new construction. The general application is expected to be delivered in January 2018.